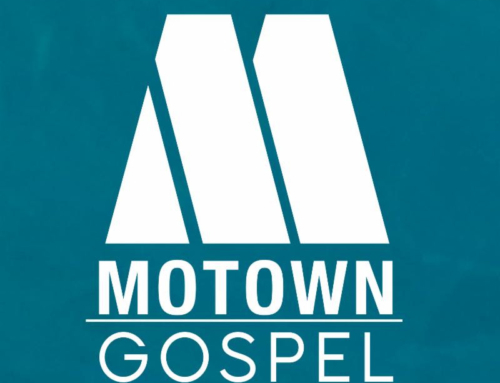 Marvin SappMarvin Sapp Leads the List with Nine Nominations Followed by Dorinda Clark-Cole and Kirk Franklin tied with Five. October 21, 2008 – Nashville, Tenn. –The nominees for The 24th Annual Stellar Gospel Music Awards were announced today at the annual press conference held at the Nashville Convention & Visitors Bureau, in Nashville, Tenn. Don Jackson, Chairman and CEO of Central City Productions, announced the 2009 nominees. The prestigious award show will return to Music City for the 4th consecutive year bringing with it excitement, anticipation and gospel music’s brightest stars. This year’s list of nominees includes stars from every genre of gospel music including traditional, contemporary, urban and rap/hip-hop. Topping the list, with a phenomenal nine nominations, is chart-topping traditional gospel singer, Marvin Sapp who picks up nominations for “Song of the Year,” “Male Vocalist of the Year,” and “Traditional Male of the Year,” to name a few. Sapp is trailed by Dorinda Clark-Cole and Kirk Franklin who tie with five nominations each. Clark-Cole and Franklin will compete against Sapp in the “Artist of the Year” and “CD of the Year” categories. 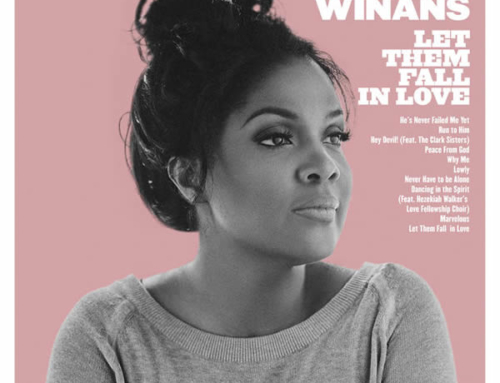 Ricky Dillard, Israel & New Breed, Canton Jones and last year’s co-host and winner of the Most Notable Achievement Award, CeCe Winans, tie with four nominations in a cross section of categories ranging from traditional to contemporary and urban. 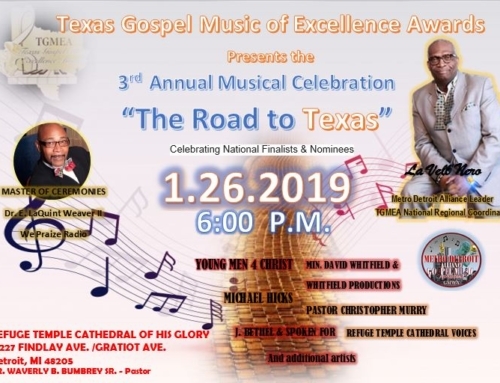 Last year’s “Song of the Year” winner Isaiah D. Thomas , gospel great Marvin Winans and another of last year’s co-hosts, Byron Cage, each pick up three nominations. Deitrick Haddon’s group, Voices of Unity garnered three nominations for their CD, “Deitrick Haddon presents Voices of Unity.” Haddon received two nominations for his urban inspirational single “Love Him Like I Do,” featuring Ruben Studdard and Mary, Mary. Other nominees include “New Artist of the Year” nominees Jessica Greene, Jai Reed, Terrell Hunt, Melody and The Murrills. Gospel’s Rap and Hip Hop artists made a lot of noise this year, and rhyming their way into the spotlight are our Stellar Award “Rap Hip Hop Gospel CD of the Year” nominees, Da’ T.R.U.T.H., FLAME, Frontlynaz, Sho Baraka, and Trip Lee. Stellar Awards veteran, Vickie Winans will receive this year’s “Most Notable Achievement Award.” Former Tramaine Hawkins music director, Daryl Coley will be on hand to receive the “James Cleveland Lifetime Achievement Award,” sponsored by Allstate and “The Dr. Bobby Jones Legend Award,” sponsored by Walgreens, will go to last year’s “Quartet of the Year,” The Rance Allen Group. The Stellar Awards press conference was sponsored in part by RushmoreDrive.com. RushmoreDrive.com is the official search engine for the 24th Annual Stellar Gospel Music Awards. Go to www.RushmoreDrive.com for exclusive airing of the Stellar Awards Pre-Show, for the FIRST time ever. RushmoreDrive.com is also sponsoring the Stellar Award/RMD Fan Based Award Weekend Get-a-way, in which one lucky fan will win an opportunity to PRESENT a Stellar Award! Log on to www.RushmoreDrive.com for details. For a complete listing of all nominations, please visit www.thestellarawards.com. The 24th Annual Stellar Gospel Music Awards Show will be held, once again, at the historic Grand Ole Opry House in Nashville on January 17, 2009. The awards show will be co-hosted by comedian Sinbad and others to be announced. Performers and presenters will be announced at a later date. For further information, please contact A. Jalila Larsuel of JL Media Relations at (626) 398.5028 or via e-mail at JLMediapr@aol.com and JLMediapr@gmail.com. The Chicago-based Central City Productions, Inc. (CCP) produces the Stellar Gospel Music Awards. It has been 23 years since the first awards show was taped at the Arie Crown Theater in Chicago, and the Stellar Awards has now become the premier Gospel event that recognizes and honors African American artists. This one of a kind award show has showcased top Gospel artists and many television and film stars.